A navy airman assigned to the USS Nimitz was found dead in his Washington apartment in an apparent murder-suicide. Police from Bremerton, Washington, report that Airman Francisco Rivera, 23, allegedly stabbed his wife, Marie Aurora Rivera, 22, and then hanged himself. Two of the couple’s friend found the bodies and called the police to the couple’s home at 131 Marion Ave. North around 6:55 p.m. on Dec. 13, said Bremerton Police Lt. Randy Plumb. Police said there were obvious signs of a violent struggle inside the home. The Kitsap County Coroner’s Office, which autopsied the bodies, reported that Marie Rivera had been stabbed several times. Bremerton police and Navy officials both said they are investigating the circumstances surrounding the incident. 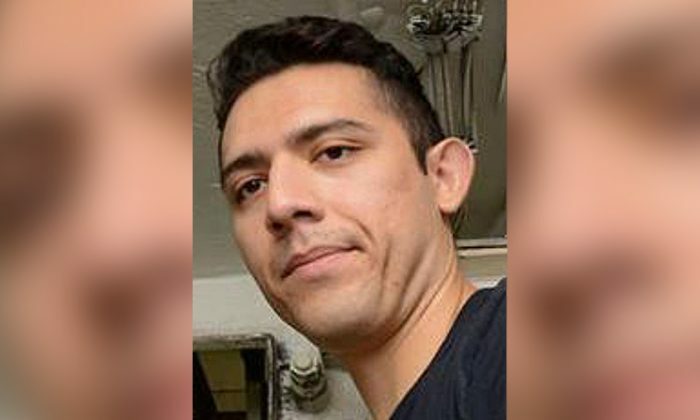 Because the investigation is ongoing, Navy officials would not disclose whether Airman Rivera exhibited any warning signs of mental illness or sought counseling or medical care while deployed. Such services are readily available on the ship, they said. Francisco Rivera had just returned on Dec. 10 from a six-month deployment on the USS Nimitz nuclear-powered aircraft carrier, where he was deployed with the Air Department. According to the Navy, Rivera had no disciplinary actions on his record. “I think it’s pretty pathetic of him because he killed her and then hung himself,” said Alexis Gregory, another neighbor. Neighbors said the couple had recently moved into the home. Francisco and Marie Rivera were natives of Anchorage, Alaska. Rivera was still living in Anchorage when he enlisted in 2015. “Our thoughts and prayers go out to the families and crew members affected during this difficult time,” Navy officials said.